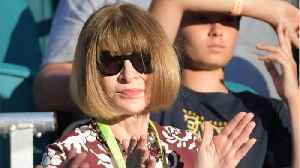 Dame Anna Wintour is a British-American journalist and editor who has been editor-in-chief of Vogue since 1988 and artistic director for Condé Nast, Vogue's publisher, since 2013. 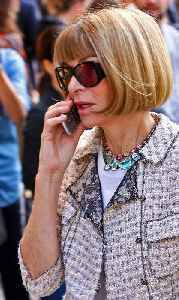 With her trademark pageboy bob haircut and dark sunglasses, Wintour has become an important figure in much of the fashion world, widely praised for her eye for fashion trends and her support for younger designers. Her reportedly aloof and demanding personality has earned her the nickname "Nuclear Wintour". WASHINGTON (AP) — From Ben Affleck and Susan Sarandon to Anna Wintour and Willie Nelson, celebrities lined up to give money — and a dash of star power — to their favorite Democratic presidential..
Melania Trump's name didn't come up in an interview Vogue's Anna Wintour did with CNN about first ladies, but her spokeswoman believes the chat suggests she's been banned from appearing on the cover. The world has been fascinated with Meghan Markle's style ever since she became a member of the royal family in 2018. From fans trying to replicate Markle's $630,000 maternity wardrobe, to the constant.. 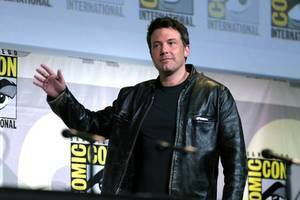 The Nickelodeon Kids' Choice Awards 2019 kicks off with a slew of A-list celebrities including Will Smith, Janelle Monae and Jennifer Hudson. No reporter narration.